If lemongrass is new to you, welcome to an exciting new world. Start your introduction with the fragrant aroma of citrusy lemon & orange blossom. 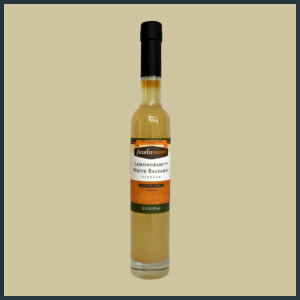 Our Lemongrass White Balsamic Vinegar has a light refreshing lemon-lime taste with a hint of mint and ginger, and its white balsamic vinegar base gives it clean sweet richness. 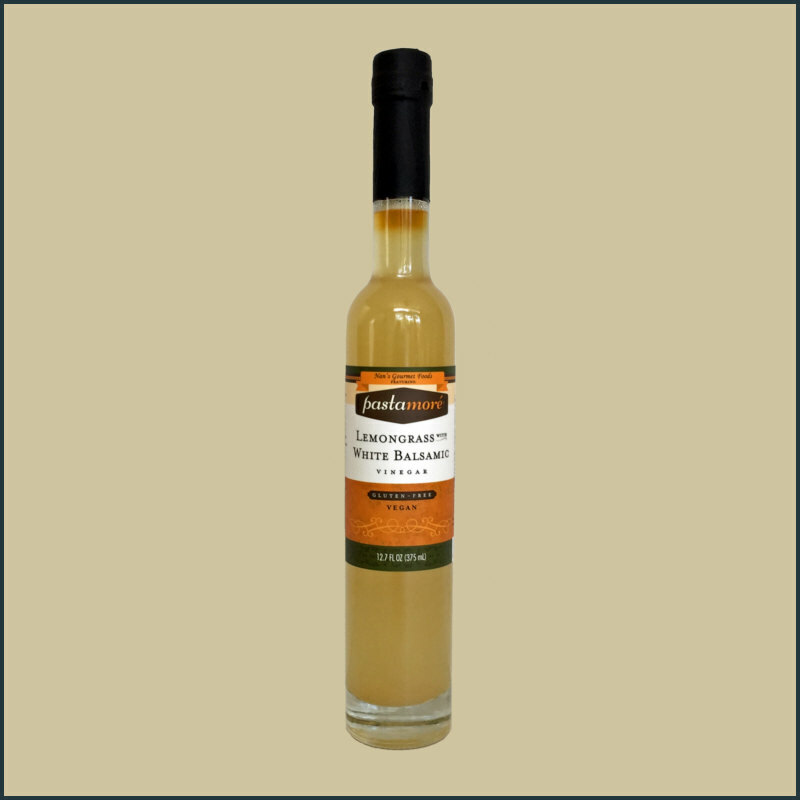 White balsamic vinegars are produced similar to traditional balsamic vinegar, but are cooked at low temperatures to avoid darkening. The flavors are similar, but white will tend to be less sweet and less syrupy. We think white has a cleaner aftertaste. 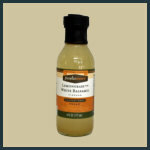 Many will use a white balsamic with lighter color foods, dressings and sauces without discoloring. Lemongrass is used predominately in South Asian cooking, especially Thai, and you can use our vinegar in similar ways. It marries well with garlic, shallots, ginger, chicken, pork or fish. We like to use it to balance the spiciness of chilies. It also makes for a wonderful secret ingredient in desserts – think cookies, cakes and baking! Lemongrass is used in South Asian cooking, especially Thai, and has a fragrant aroma of citrusy lemon & orange blossom. Our vinegar has a refreshing lemon-lime taste with a hint of mint & ginger, and its white balsamic base gives it clean sweet richness.